When driving east on SR 520 this time of year, with the late afternoon sun behind you, as you crest the bridge over the St. Johns River, look far to the east. There, on the north side of the highway, you'll see what looks like molten gold spilled on the eastern edge of the marsh, up against the dark woods. 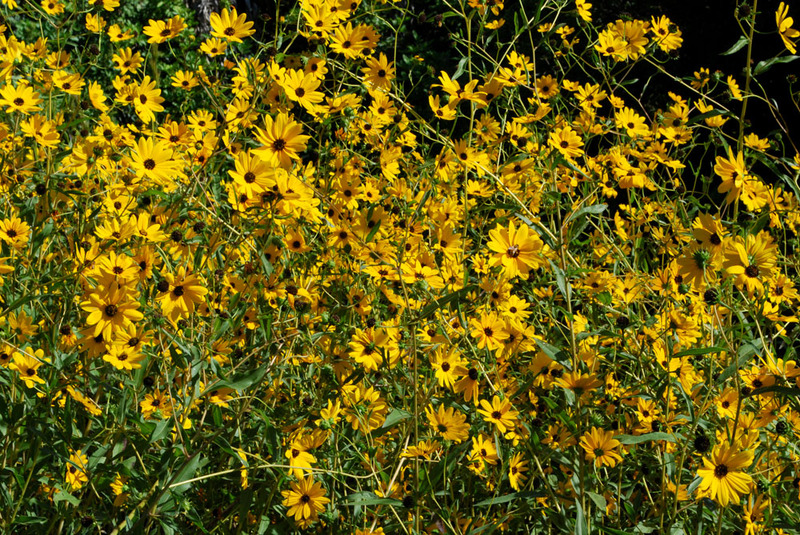 As you get closer, you'll see large patches of gold spreading out into the marsh, and you'll begin to recognize the gold as the massed blossoms of tall wildflowers. If you look to your right, you'll also see splashes of gold on the south side of the highway, although the near shrubs on that side partially obscure the view. Later, after you're on I-95 heading south, you can see more of the golden color in the marshes east of I-95, just south of the SR 520 intersection. 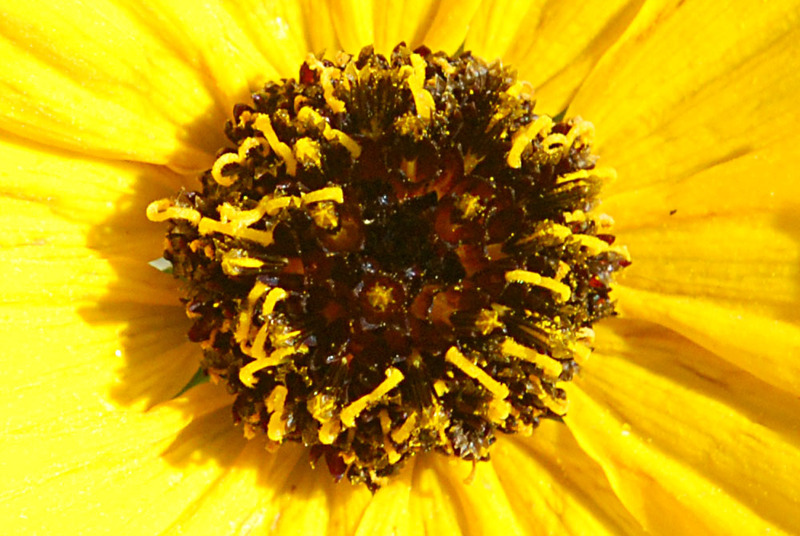 All this brilliant color is due to a single species of wildflower: Southeastern Sunflower (Helianthus agrestis, Asteraceae), a native plant found only in Florida and a few counties in southern Georgia. 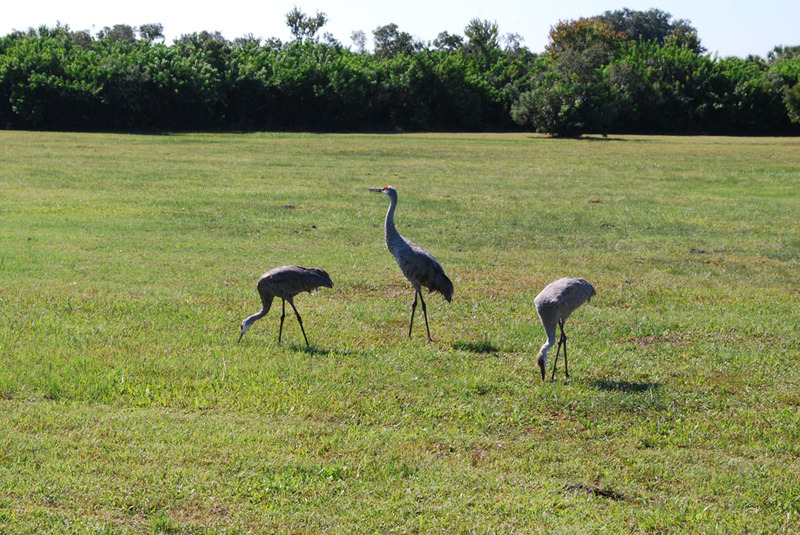 Here, near the St. Johns River, it peaks in mid- October. 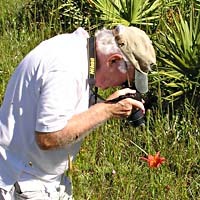 In mid-July, in these same marshes, a similar effect, but in pink and less striking, is produced by masses of tall, blooming Swamp Rosemallow (see the earlier St. Johns River post). My wife, who reported sighting the St. Johns River gold, volunteered to drive me there, allowing me to photograph from the car. 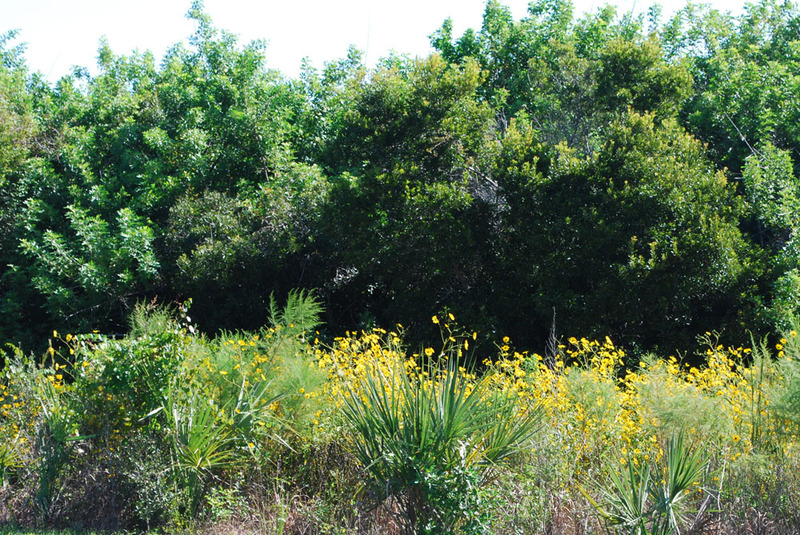 We first spotted the broad patches of yellow in the marshes on the east side of I-95, south of the SR 520 exit. I used my telephoto lens, but zipping along at 70 mph, I mostly got green and yellow blurs. I salvaged the best of my blurry "drive-by" images by doing a Photoshop artistic treatment on it, which gave the above impressionistic image. As it turned out, there was no safe place to stop along the north side of SR 520, so I was unable to get a photo of the sunflowers in the river marsh. 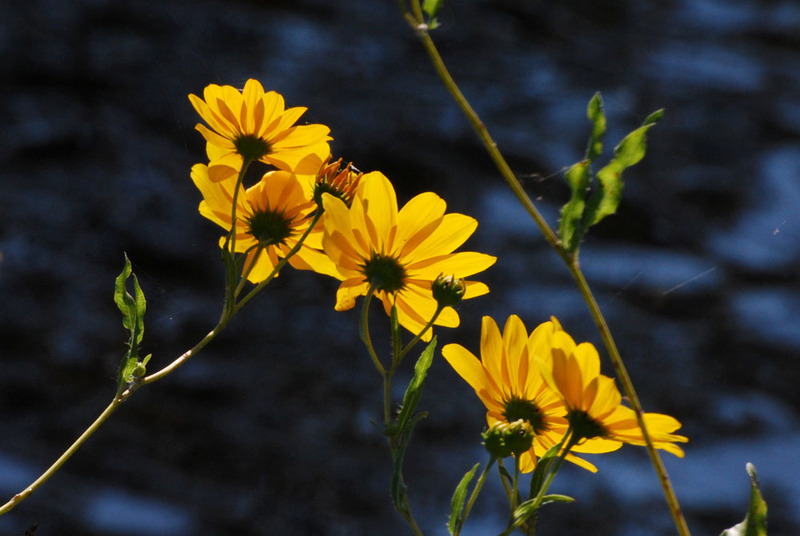 Fortunately, we did find a small clump of sunflowers along the canal near the airboat ramp at the Lone Cabbage Fish Camp. 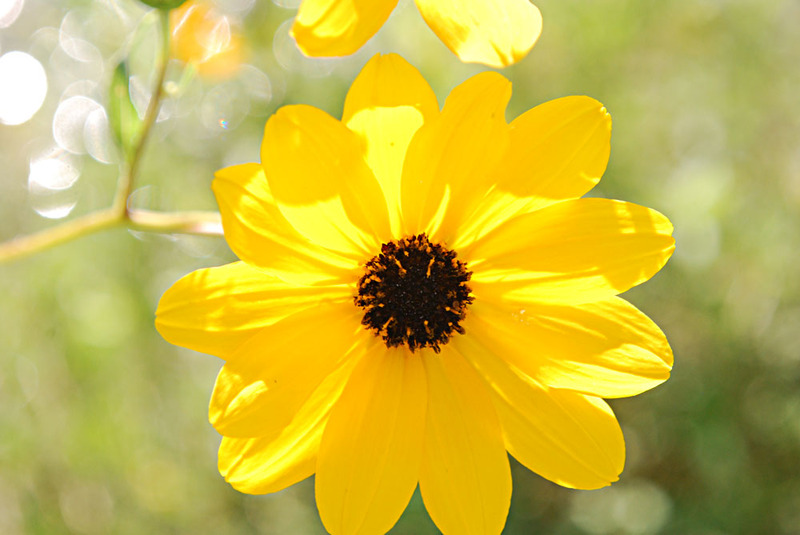 This had the advantage that I was able to get close-up photos of the flowers. 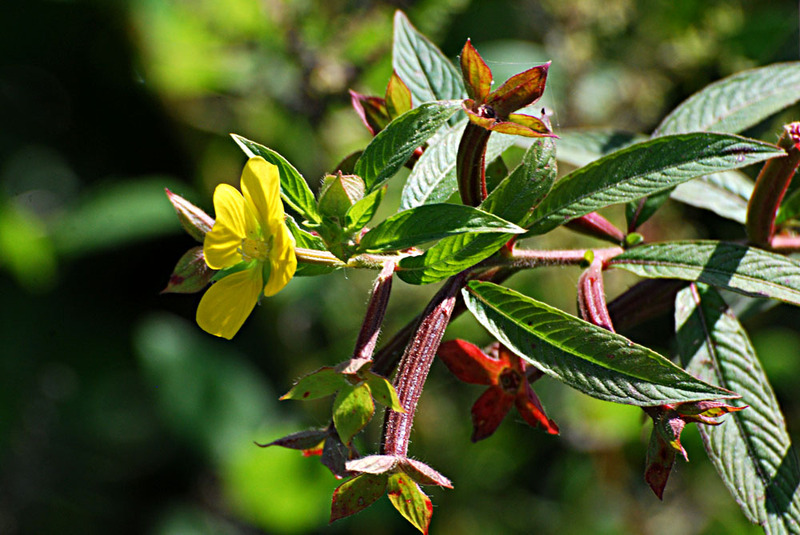 The disk flowers are dark purple, with bright yellow anthers. 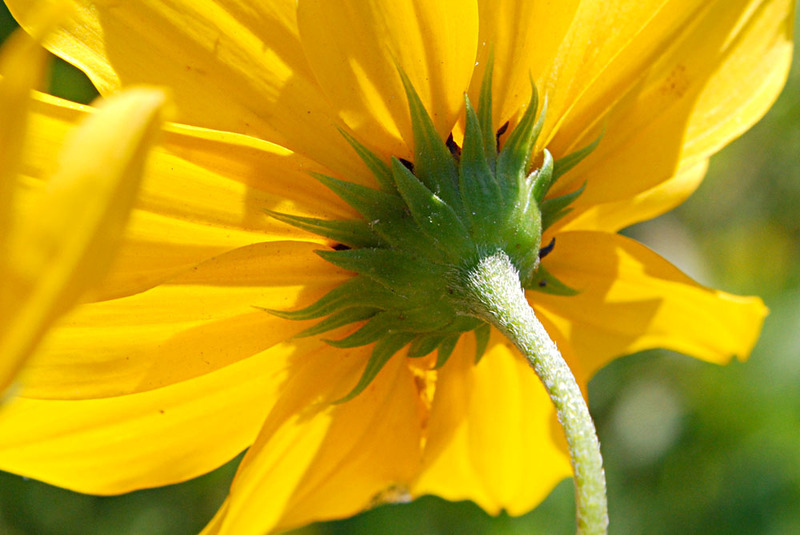 The relatively long hairs on the lower margins of the leaves is one of the distinguishing characteristics of Helianthus agrestis. 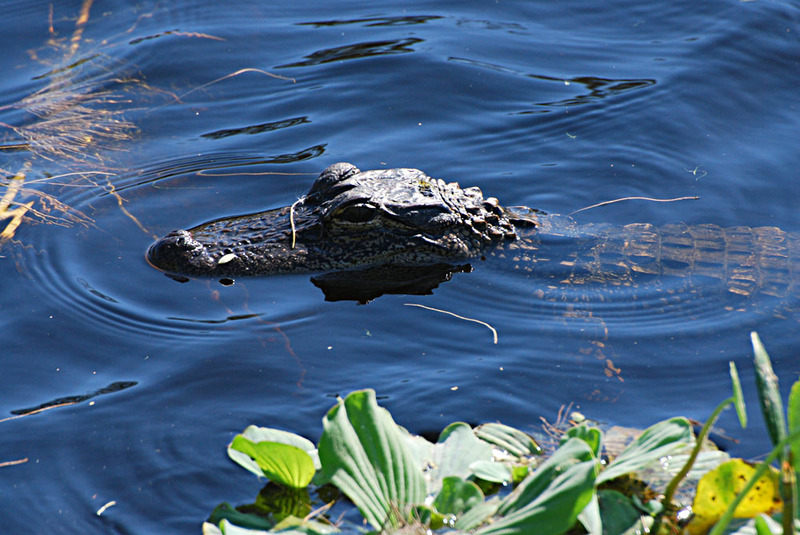 A nearby small alligator kept an eye on us. 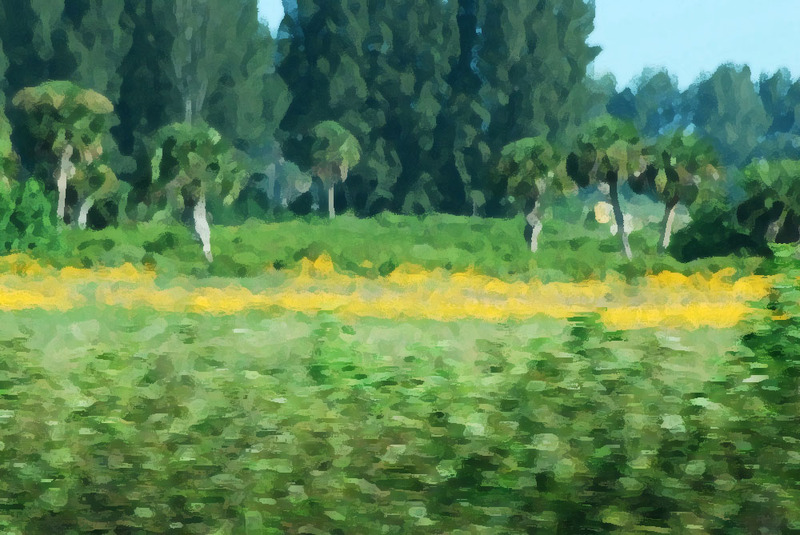 We found an area of sunflowers on the east side of F. Burton Smith Regional Park, which is on SR 520, immediately east of the St. Johns River marsh. Some of these plants were over 6 ft. tall. 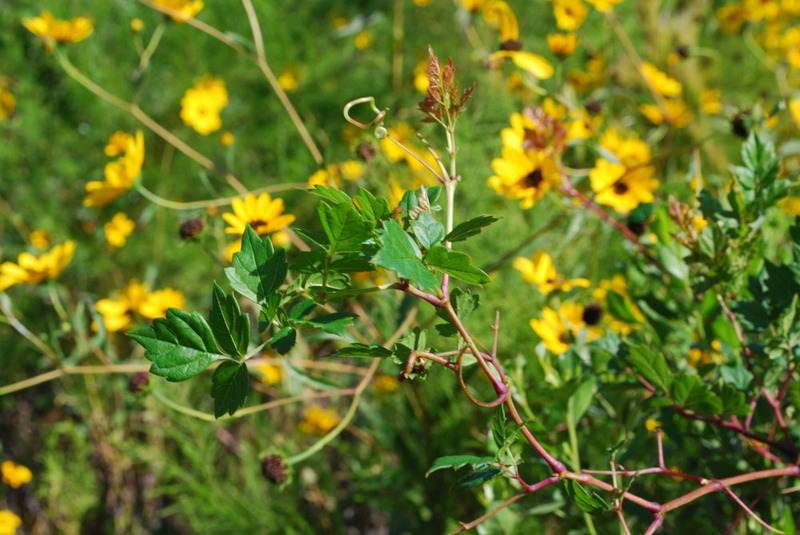 This peppervine was growing among the sunflowers in F. Burton Smith Park. 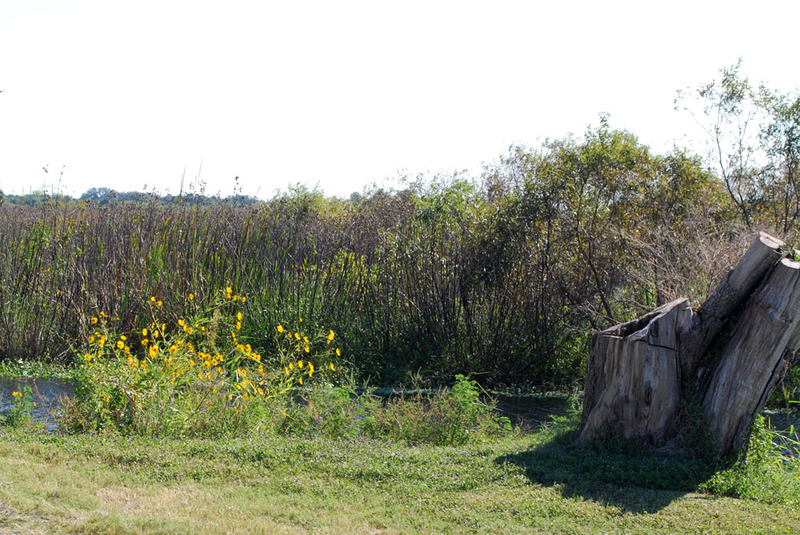 Several primrosewillows were found with the sunflowers near the airboat ramp at Lone Cabbage. 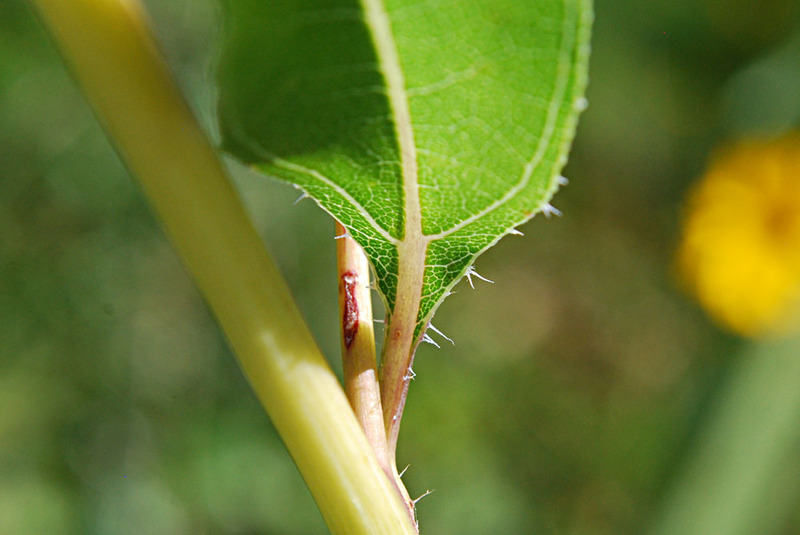 The seed capsules help identify this species: over 1 in. long, round, with ridges and stripes. 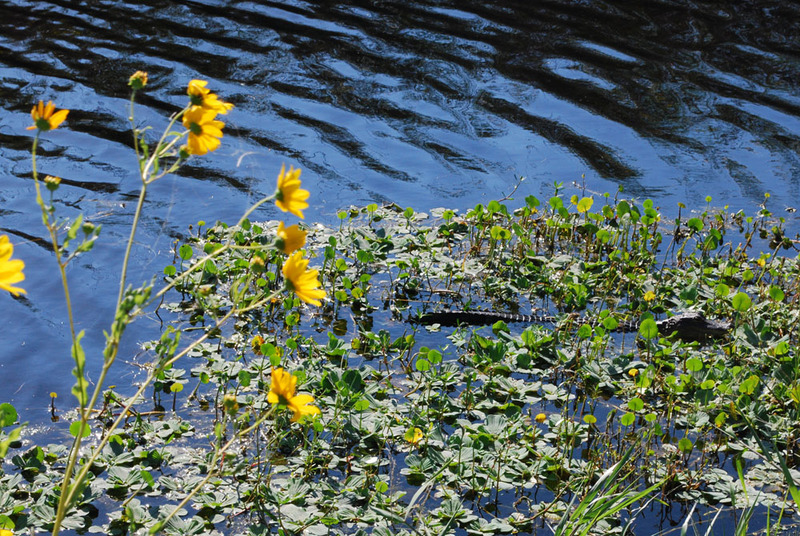 Rafts of water-lettuce were in the canal near the Lone Cabbage airboat ramp. 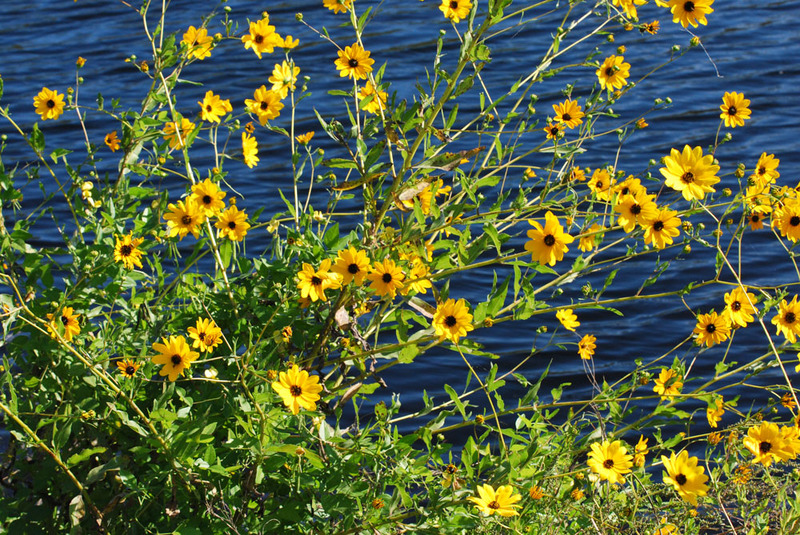 This is an invasive plant, a nuisance for boaters. 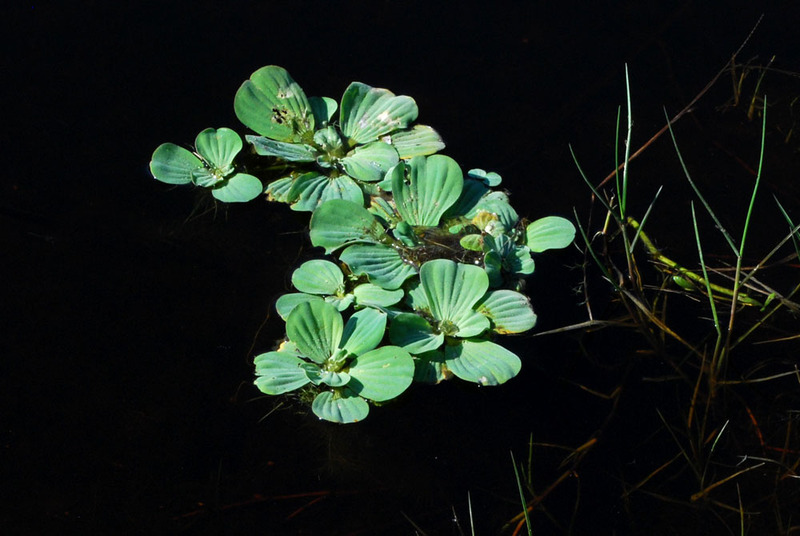 According to the IFAS/UFL website, experts disagree as to whether water-lettuce is native to the U.S.: it has been present in Florida since as early as 1765 when the explorer, William Bartram, described and drew the plant in Lake George. 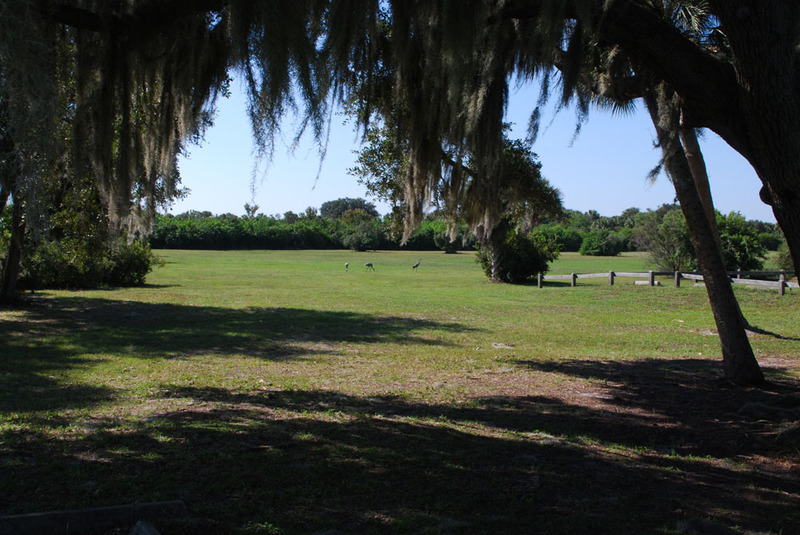 F. Burton Smith Regional Park. GP- I really like the photo of the underside of the sunflower. I saved it as my desktop!